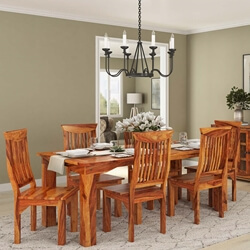 Keep things comfortable and contemporary with the Dallas Ranch Vandana Ladder-back Chair Dining Set. 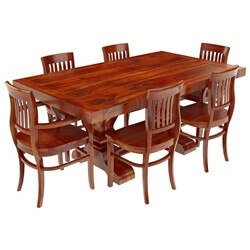 The handcrafted dining table and chair ensemble is made of Solid Wood, a premium hardwood. 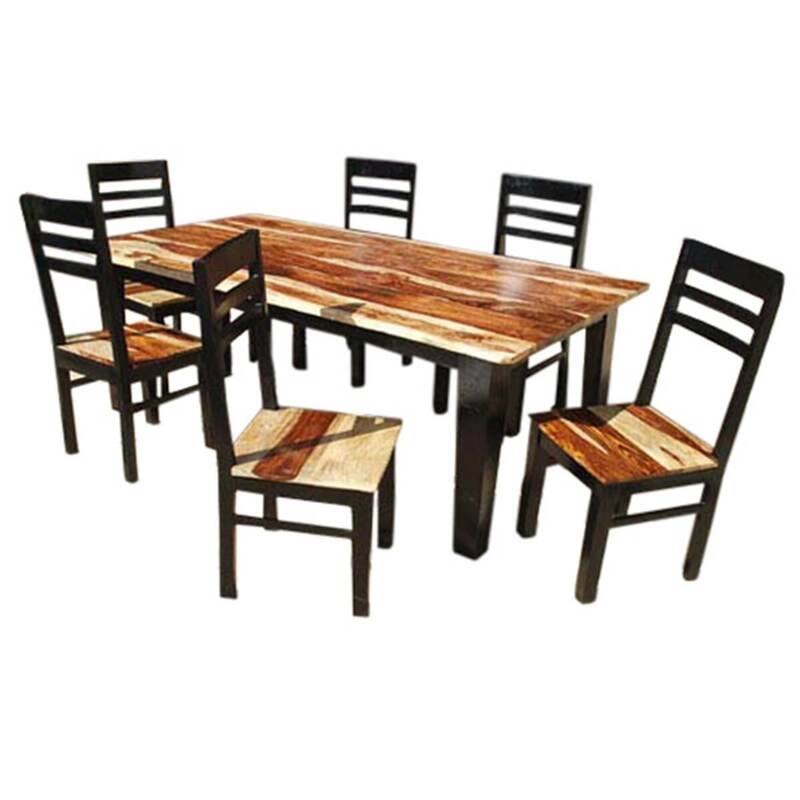 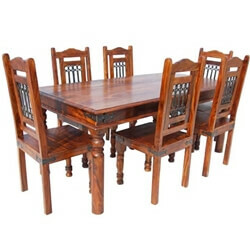 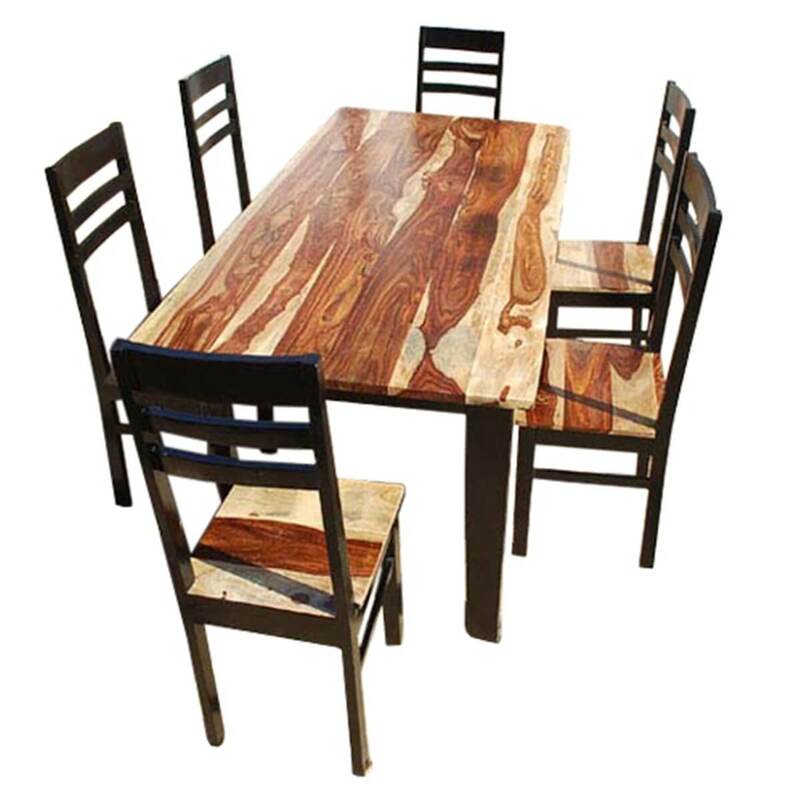 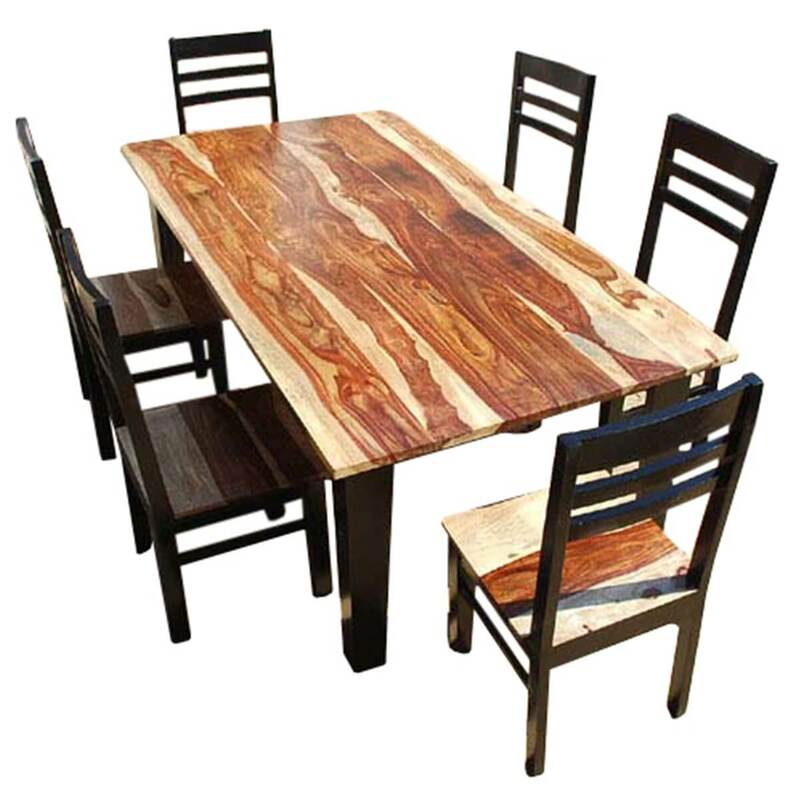 Plank style top with rich Wood Grain pattern is the main attraction of this dinette set . 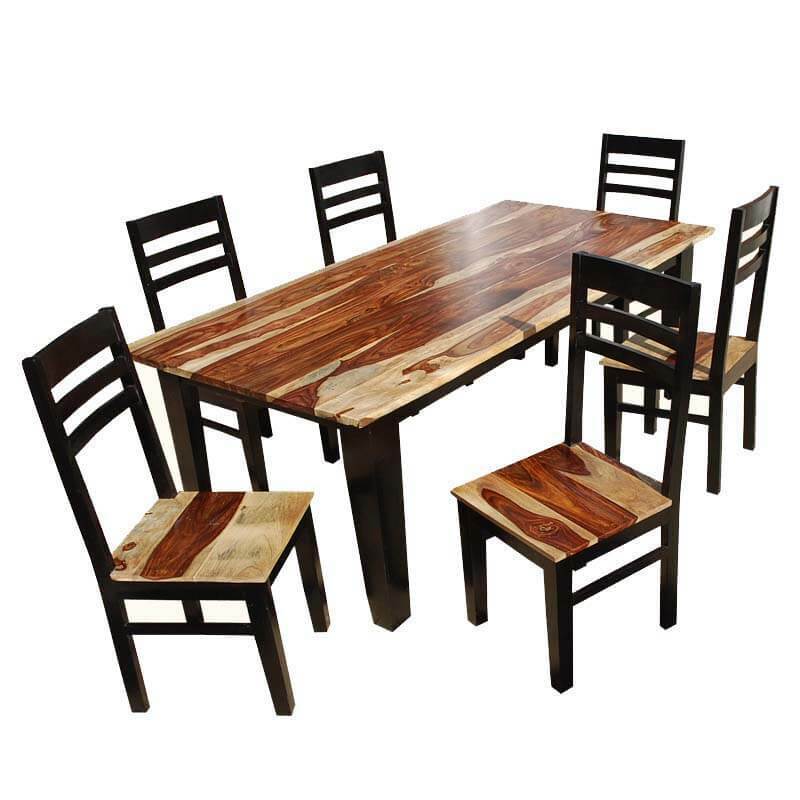 The sleek black tapered chair legs and chair backs add contrast and excitement to the warm vandana tabletop and chair seats. 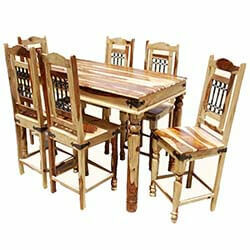 • Stains are individually mixed and applied by hand.